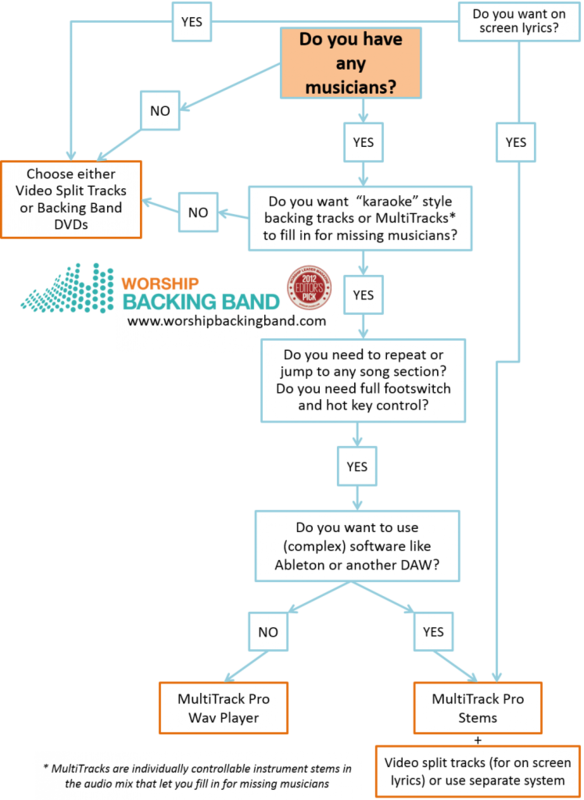 Confused about the options for MultiTracks, Split Tracks and Backing Track DVDs? Start with the question in the orange box “Do you have any musicians?” Then follow the flow chart to the best solution for you. We’ve also got a helpful comparison table here. Previous Previous post: Two new Worship Backing Band DVDs released. The cheapest way to buy Split Tracks.